On Saturday, August 4, 2018, a Nigerian, Maigalisa Yohanna, and his wife, Danielle Villasana, surprised many of their guests after storming their wedding reception in a tricycle in Yola, Adamawa. 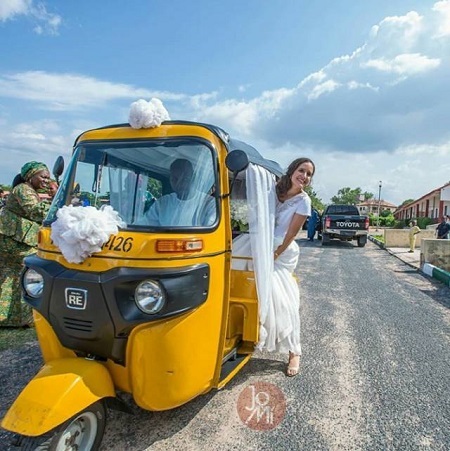 The duo met at the American University of Nigeria, where Danielle teaches photography and Maigalisa is an expert in computer science. 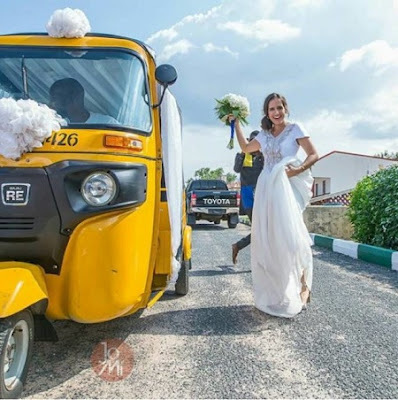 Seun, the photographer, who took the photos, explained that it was a nice surprise for the bride who had always wanted to indulge in a Keke Napep. I photographed a lot of weddings but none was so spontaneous and engaging. The @ tiana_27 event planner approached me right after joining and said. 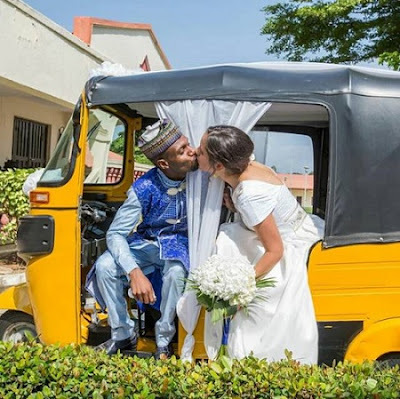 "You must be ready for a surprise that @maigalisa (husband) has for his bride @davillasana". The order of the photographs followed shortly after, because we needed time for @ meetbobby1 to get the Keke (Tricycle). 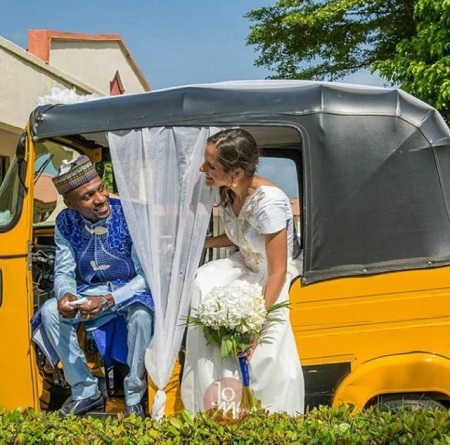 He made a grand entrance as the bride was swept away and marveled at the surprise. Before that time, getting into a Keke was a wish for Danielle and Maiga had given her this wish the day they tied it all together.